Provence, the beautiful region that sits at the scenic crossroads of southern France, the Italian Alps, and the Mediterranean, has long been an area of historical import and distinct culture. It was the first Roman colony beyond Italy, held the papal seat in Avignon, and serves as a modern-day commercial hub and resort area. Above all else, Provence is known as a producer of some of the finest food and wine France has to offer, with a cuisine that emphasizes healthful ingredients like olive oil, garlic, fresh vegetables, and bountiful Mediterranean seafood. 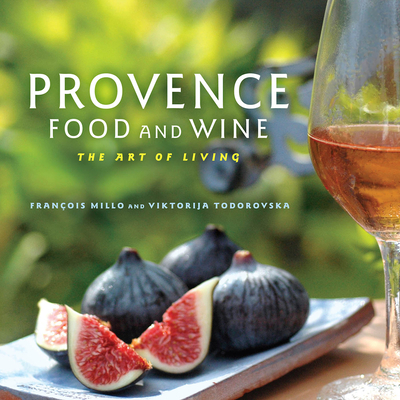 Packed with 40 traditional Provencal recipes, all of which emphasize the incredibly popular and healthy Mediterranean diet, Provence Food and Wine also provides detailed information on regional wines, including the region's famous ros . Viktorija Todorovska runs Oliva Cooking, a cooking, wine, and travel company based in Chicago. She studied cooking at Apicius in Florence. She has previously written "The Puglian Cookbook" and "The Sardinian Cookbook."